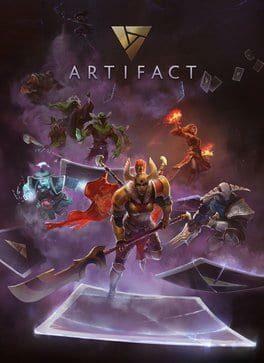 Artifact is a digital card game coming from the makers of Dota®2 and Steam®. A collaboration of legendary card game designer Richard Garﬁeld and computer game and technology maker Valve (Dota 2, Steam), Artifact is designed to give Trading Card Game (TCG) enthusiasts the deepest gameplay and highest ﬁdelity experience ever in a fantasy card game. It features more than 280 cards in the shipping set, including 44 heroes. Targeted for release on Steam in late 2018, players will be able to buy and sell cards on the Steam Community Marketplace. Artifact will also be supported as a service through expansions, competitive events, and new features. Artifact is available from 16.57 to 16.57 from 1 shops.